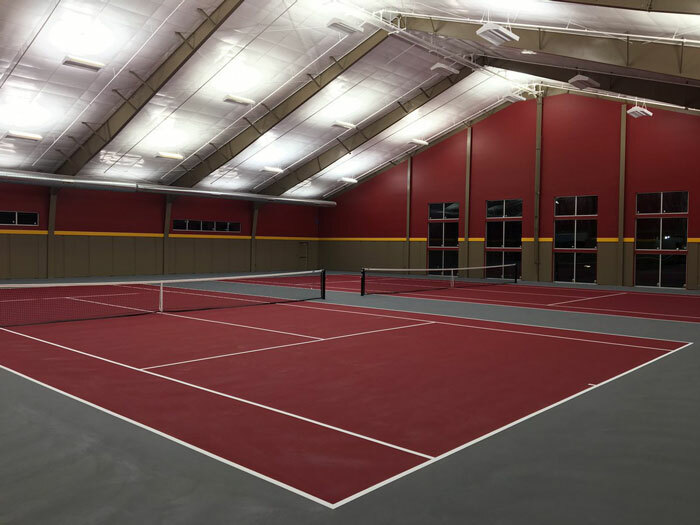 In January 2017, Iowa State University opened their new 16,000-square foot indoor tennis practice complex. The complex is named the Bruce McKee Indoor Tennis Complex after Des Moines attorney, Bruce W. McKee. The new two-court performance center is dedicated exclusively to the Iowa State women’s intercollegiate tennis program and includes a team lounge, locker room and two hard surface courts. The team held its first practice in the new complex on January 10, and they were all very excited, from the coaching staff to the players themselves. The courts are illuminated with LSI’s SXS2 indirect LED lighting system. The SXS2 system provides high levels of glare free illumination that collegiate tennis players require. The system is very energy efficient and will require little to no maintenance over time. The system also offers instant on / off control.